In May the Philippines banned the export of elvers due to a noticeable decline in their numbers that has been slowly increasing. 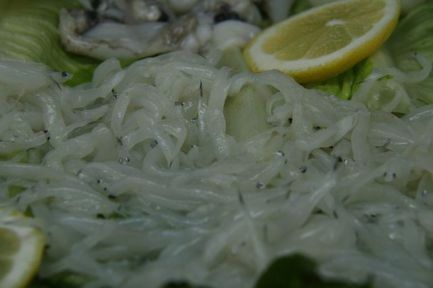 Eels caught around the country were sent to Manila for shipment to other Asian nations where they are considered an aphrodisiac, and believed to improve male potency. It is believed that the eels would have been raised there until they were large enough to make a decent meal. The shipment weighed 929 kg and was estimated in value at around $524 per kg. Authorities are still searching for the individuals behind the shipment, both exporter and importer. In the meantime, the eels are being sent to a hatchery run by the Bureau of Fisheries and Aquatic Resources for safe keeping.